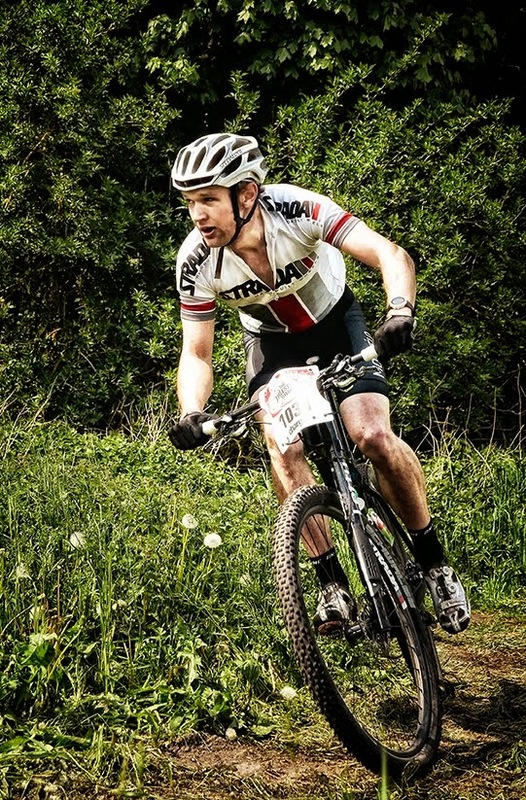 My season started back in April with a big aim to win the single speed category at the 12-hour UK and European Endurance Championships. I really enjoyed the race, the location was amazing and the atmosphere felt great due to the lack team categories. For me the race went exactly to plan; I lead the single speed category from the first hill and felt comfortable for the majority of the race. My only regret was losing 4th and 5th place in the last two lap; the huge amount of climbing really hurt me! 6th overall at the National Championships was a good start to the season. The rest of the season was a mixture of highs and lows. My next race, Gorrick 100, lasted two minutes. I rode down a hole and face planted the floor. I've still got the scars to prove my mistake! I was lucky not to do more damage, but I'm annoyed it happened. Next up was Erlestoke 12. Not feeling my best after my crash, it felt a struggle. It was a hot day but I dealt with it well. I won the single speed category with 1.5hrs to spare and came 5th overall. Next up, after a rest and a trip to the Physio, was Bontrager Twentyfour12. I had an unexpected result in 2011 where I was third overall! Unfortunately it wasn't to be this year; the terrible weather destroyed the course and made single speed racing very arduous. I quit after 6 hours. Maybe I could have struggled through another 6 hours but my head wasn't in it and it would have left me broken for weeks after. I'm not used to having races not go to plan! I was beginning to loose interest so, in an attempt to change my luck, I fitted gears to my race bike and headed to Brighton. The Big Dog is a great race and therefore the big boys have started to show up en mass! I wasn't expecting to do as well as last year, but rode a solid race and was surprised and happy with 6th overall. My last big race came with Dusk 'til Dawn, a classic endurance race which has been plagued with bad weather for the last two years. Luckily for me it was dry, if slightly cold. I rode sensibly from the start, letting other soloist ride off in front, knowing they were pushing too hard too early. This plan worked for me as they quickly faded and I was in second. I suffered from the cold towards the end and never caught first, but I was happy and it was a good way to end my main season. My plan for next year is based around doing shorter xc and marathon races, with only one 12-hour race. I hope it'll leave me more enthusiastic to race more. It means unfortunately that my steel single speed bikes will no longer be first choice; despite their comfort benefits they are too heavy when built up with gears to compete against the carbon whippets. I'd like to thank my supporters for this year, The Bicycle Academy, TF Tuned and Mulebar, they have been very useful & generous.